Nurses perform heroic acts every day, yet when called "heroes" they often downplay such compliments because they are just "doing their jobs." However, as with all heroes, there are villains who try to take away their powers. Superman had Lex Luther and poor Perseus had to fight Medusa AND the Cracken! Like ancient Greek and modern day super heroes, nurses have their villains too: ignorance, judgments, and bullying are a few of the villains that sap nurses of their heroic powers. The good news is like all heroes, there are behaviors that STRENGTHEN nurses' heroic powers and enable them to succeed: knowledge, compassion, a positive attitude and moral courage can transform all nurses into true heroes. This presentation is designed to provide inspiration and practical strategies to help nurses become more heroic in their practice and to believe that what they do makes a difference. 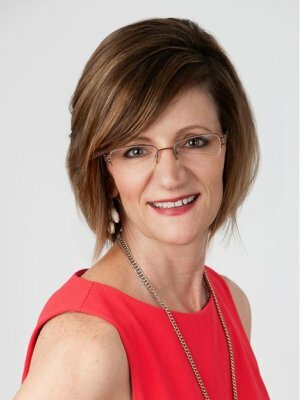 Nurses choose their profession to deliver compassionate and effective patient care, and then they discover the ugly in nursing: nurses can be horrific to each other. Nurse-to-nurse bullying is a problem. It's pervasive, destructive, and negatively impacts individuals, the nursing profession, the workplace, and ultimately the patients. One reason bullying has continued to thrive is because we haven't learned how to address the behavior in our work environment. We often turn the other cheek, thus perpetuating the problem. There is hope. It doesn't have to stay this way. In this presentation, participants will discover proven strategies to address and finally eliminate bullying behavior in the workplace. Imagine a world where everyone got along and went out of their way to support each other. Where resources were abundant and patients were happy. Wouldn't it be a joy to work in a world like that? The reality is that nurses work in unpredictable worlds where we don't always support each other, have the necessary resources, and struggle to meet the increasing needs of patients. Ultimately, these struggles lead to stress and over time, stress leads to fatigue, burnout, and exhaustion. The good news is that despite the increasing demands, nurses CAN thrive. 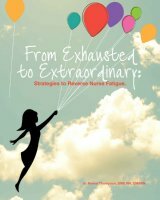 This presentation provides nurses with simple strategies to flip the switch from exhausted to extraordinary!